The tour will showcase McMillan Park, its vistas, unique history, and connection to historic landmarks in the Bloomingdale neighborhood. The first part of the walk will include information and bonus highlights about the history and development of Bloomingdale in the early 1900’s, much of it in anticipation of the opening of McMillan Park. The walk will last about two hours and will start at the triangular park opposite the Big Bear Café (corner of 1st St. and R St. NW) on Sunday, September 23rd at 9:30am (rain date Sun., Sept. 30th, 9:30am). Light refreshments will be served and a selection of some of our favorite mounted art photos of McMillan Park offered for sale at the end of the tour, as well as some lovely greeting cards of those same photos! Please register for the tour by sending an email to restoremcmillan@gmail.com or calling Kirby at 202 213-2690. We are limiting the tour group size to 30 people to ensure that all who join can hear easily and participate fully. So please register early to guarantee that you’ll be able to be part of this special day! Kindly note, a suggested donation of $20 in advance ($25 on the day of the event) will benefit Friends of McMillan Park’s efforts to save this registered national historic landmark. We greatly appreciate your ongoing support! Even if you are unable to join our tour, please consider making a donation to help support these efforts. 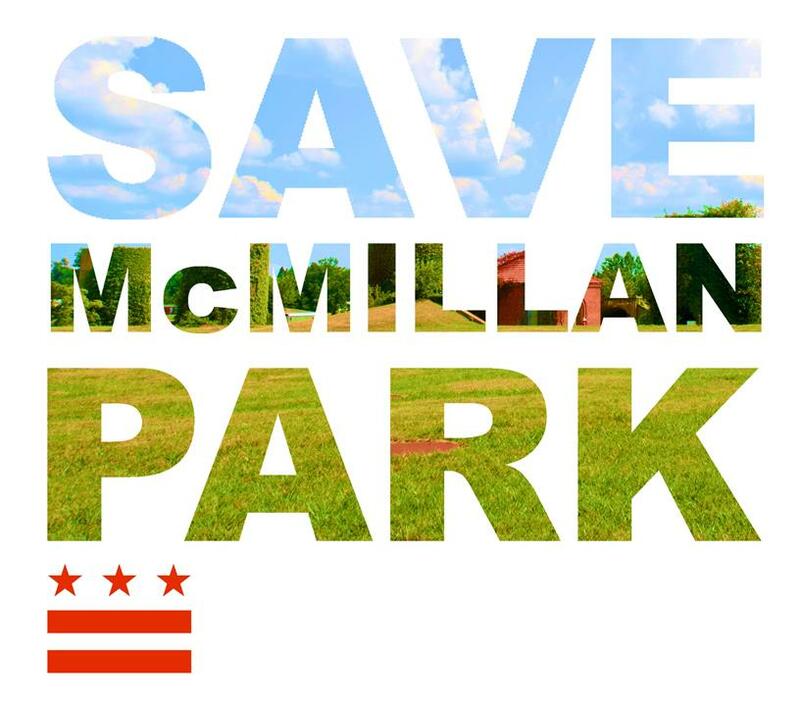 You can donate via PayPal (see the “Buy Now” button here: www.friendsofmcmillan.org/merchandise), contribute to our Crowdrise campaign (www.crowdrise.com/savemcmillanpark), or pay in person with cash or credit card with FOMP’s Square account on the day of the event. Thank you in advance for your generous contributions! We hope to see you for the event! issues, and one on the zoning issues. ALL that it is — no demolition or construction going on. Effective September 9, 2018, the Bloomingdale neighborhood is a new Historic District, adjacent to but separate fromMcMillan Park Reservoir Historic District. Please see additional details here. Thank you for your continued interest in and support of historic McMillan Park! Board of Directors, Friends of McMillan Park, Inc. If you have any questions, please contact restoremcmillan@gmail.com or call 202.213.2690.